The countries of the “Arab Spring” have experienced political and social upheavals that vary in scope, in terms of their impact on the democratic transitions in these countries, and in terms of the extent to which they led to – or thwarted – the realization of the goals of these uprisings. However, in Syria – home to one of the most vicious dictatorships in the world – the popular revolution which began peacefully has transformed into a conflict that not only undermines the ability of the Syrian people to overthrow the Assad regime set democratization in motion, but also threatens Syria’s territorial integrity. 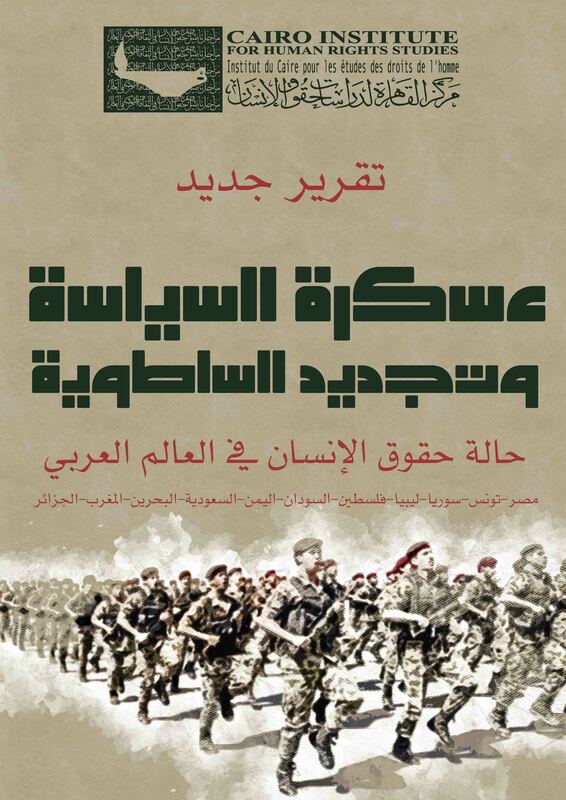 The Cairo Institute for Human Rights Studies asked a group of prominent Syrian thinkers, writers, and researchers the following question: How can the Syrian revolution avoid ending in the establishment of a new totalitarian, oppressive regime? The result is CIHRS’ new book, Deliverance or Destruction: Syria at a Crossroads, which contains a set of research papers on the topic edited and introduced by Syrian thinker Yassin al-Haj Saleh. 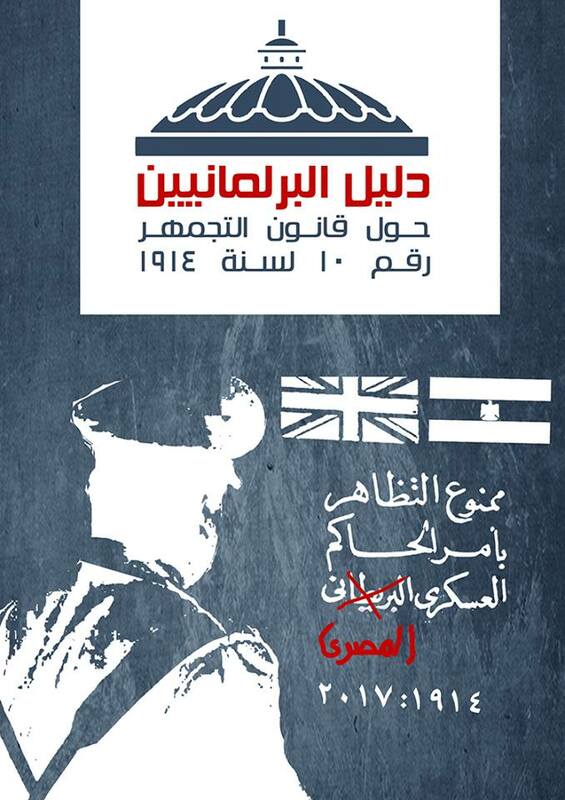 The papers were written by prominent Syrian researchers and writers, including Ahmed Hasso, Akram al-Bunni, Anwar al-Bunni, and Radwan Ziadeh. Syria faces the danger of extremist armed militias – some of which have ties to al-Qaeda – which have mobilized militants from numerous countries, ostensibly to fight against Assad’s forces. Soon after their emergence, however, these militias were also implicated in serious crimes against Syrian citizens in the name of “apply Islamic law”. Some of these groups have also been accused of attacking and abducting political opponents of al-Assad as well as human rights defenders. Later, these groups, some of which enjoy support from outside organizations and neighboring states, began to declare one another infidels, setting in motion a new phase of killing that threatens to unleash further bloodshed and tear Syria apart. Syria at a Crossroads is divided into two main parts. 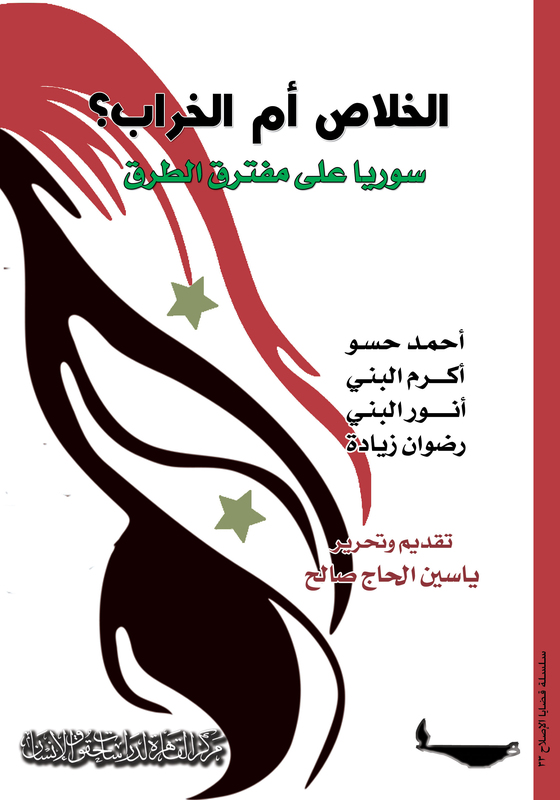 In the first, a set of research papers discusses the course of the Syrian revolution, reviewing the ways in which the uprising has evolved over the last two and a half years and attempts to address ongoing questions about the fate of the Syrian revolution. Part two of the book is an appendix of documents containing the most significant documents associated with the Syrian revolution, including the declaration establishing the Syrian National Council, the charter of the National Coordination Body, the charter of the Syrian Muslim Brotherhood, the National Pact for the Future Syria, UN Security Council Resolution 2118, and other documents that give historical insight into situation in Syria since the beginning of the revolution. In the midst of inaction by the international community, the Assad regime has caused the deaths of more than 140,000 Syrians since the beginning of the revolution and arrested and tortured tens of thousands more. In addition, millions of Syrians have been displaced. Syria has become the site of daily abuses that are thwarting any hope for the Syrian people to enjoy human rights, democracy, and the right to self-determination.